You will receive an e-mail alert when the price of Tomb Raider:Legend will drop. The Games on Demand version supports English, French, Italian, German, Spanish.Download the manual for this game by locating the game on http://marketplace.xbox.com and selecting “See Game Manual". 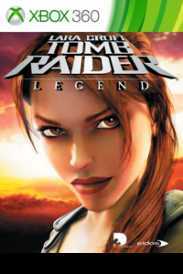 Lara Croft, one of the greatest explorers of our time, is on the path of one of History’s greatest legends, a weapon with the power to command peace or destroy.In hostile locations around the globe, diabolical traps, ancient guardian machinery and a figure from Lara’s past stand between her and the powerful relic. In this thrilling adventure for the truth behind a Legend, Lara will discover the key to her own past, and her future. There are no refunds for this item. For more information, see www.xbox.com/live/accounts.